Kiribati comprises 33 atoll islands, rising barely a meter above sea level, straddling the equator and bisected by the International Date Line. 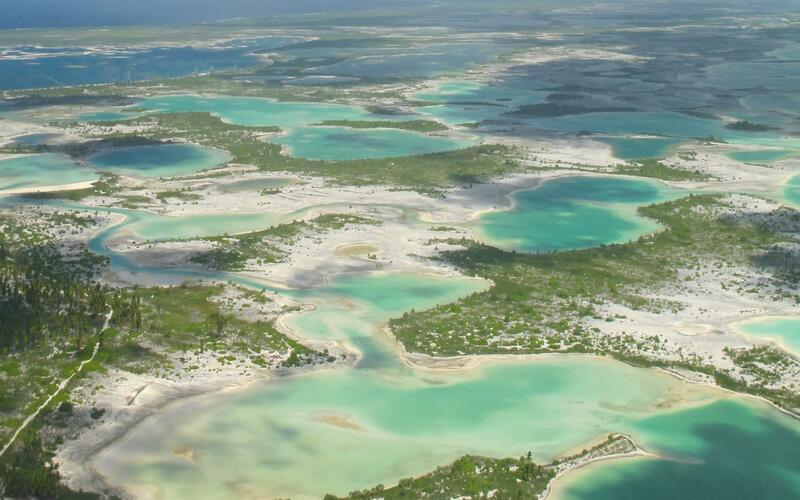 Kiribati’s coastline extends to 1,143 km with a total reef area of 1,967 km2. 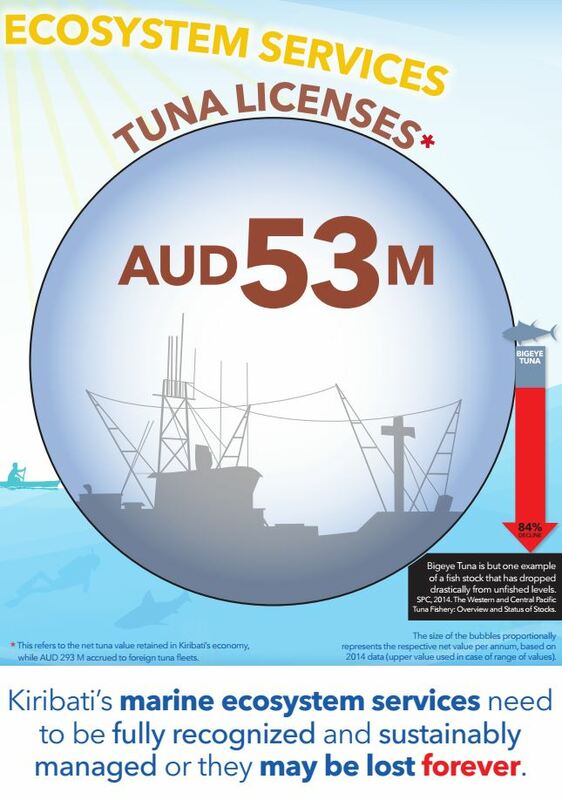 Up until 2009, a total number of 14 sites were known to be marine protected areas. Twenty-two of the islands are inhabited, with a total population of 103,058, and a population growth rate of just less than 2% per annum. There are three main geographical regions in the country: the Gilbert Islands group, the Phoenix group and the Line Islands. The total land mass of all the islands is 810 km2. Kiritimati Island, in the Line Islands, has the largest land mass of 388 km2, almost half of the total land area of Kiribati. But while the land area is relatively small, the ocean area is huge—it covers 3.5 million km2_larger than India. 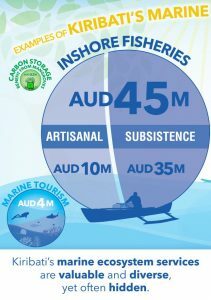 In Kiribati fishermen use a mix of traditional practices and modern equipment/tools. 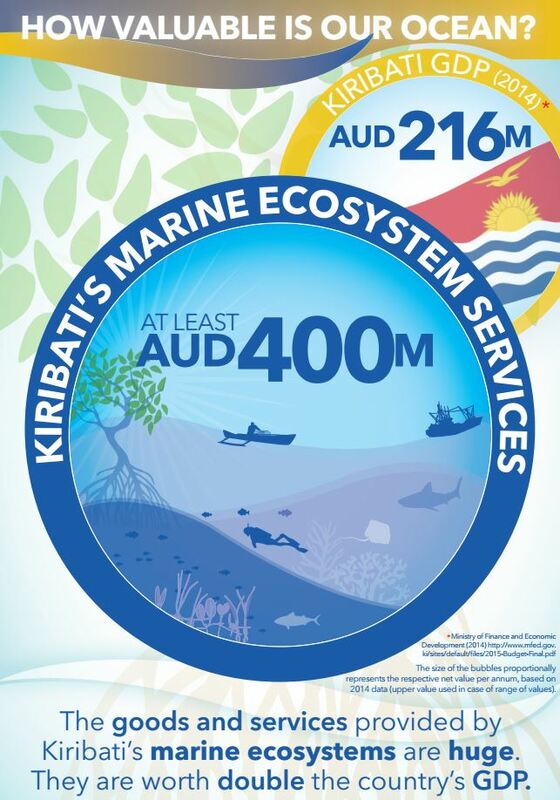 Kiribati has one of the largest EEZ's in the world that covers 3.5 million km2 of ocean. People in Kiribati generally participate in both economies. 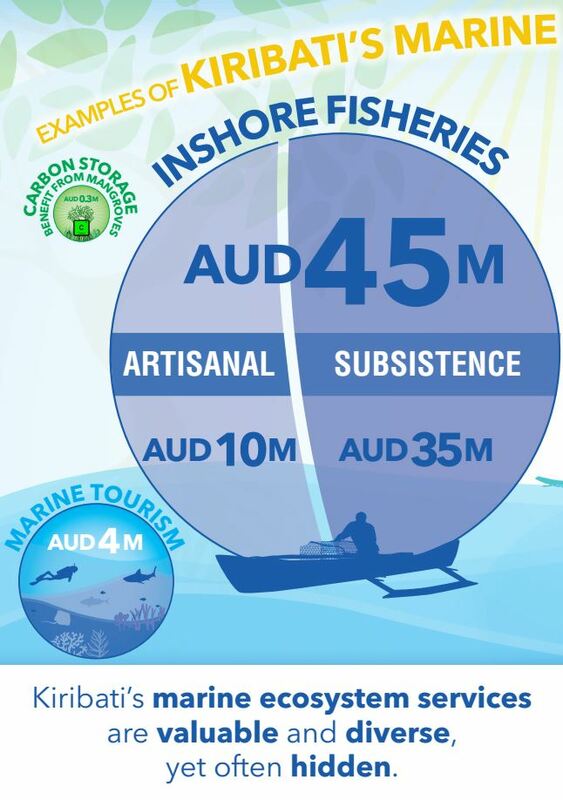 Some may work in the cash sector, but go fishing for their own consumption. 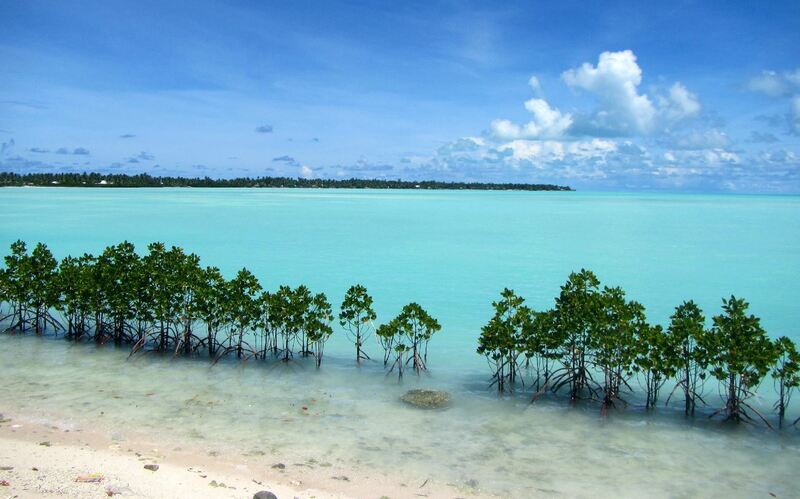 Marine and coastal ecosystems provide benefits for all people in Kiribati. Yet, these ecosystem services often remain invisible. Truly recognizing the value of such resources can help to highlight their importance and prevent their unnecessary loss. 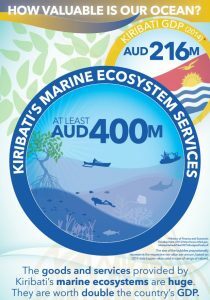 The results presented here summarise a report on the economic values of Kiribati’s marine ecosystem services. Once values are more visible, governments and stakeholders can plan and manage resources more sustainably, and maintain economic and social benefits of marine and coastal biodiversity in the long term. 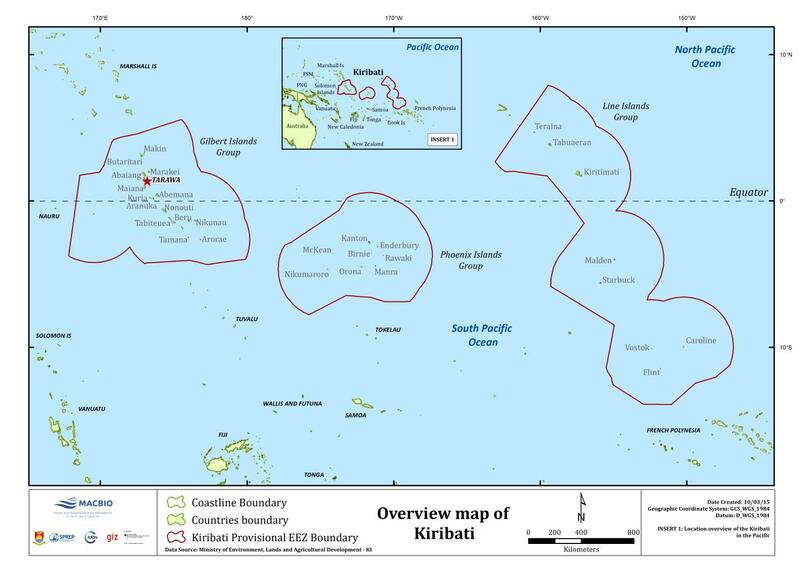 In 2006, Kiribati established the Phoenix Island Protected Area, one of the Large Scale Marine Protected Areas in the world, which constitute around 11% of Kiribati’s Exclusive Economic Zone (EEZ). 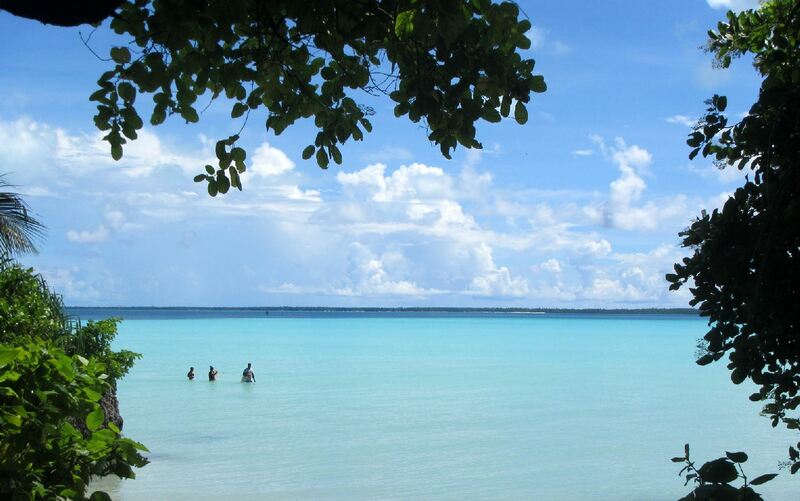 The Government of Kiribati further aims to scale up national efforts towards the creation of community and island based Marine Protected Areas throughout the country. The Government is now moving into the direction of initiating marine spatial planning processes in Tarawa, Kiritimati Island and other Line Islands, as well as finalizing steps for institutionalizing functional ocean governance committees and policy instruments to oversee broad range of issues concerning EEZ of Kiribati. 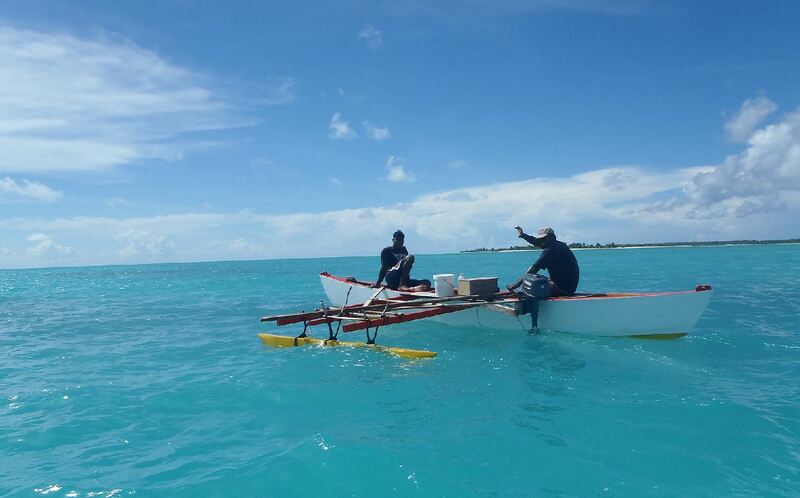 In Kiribati MACBIO supports marine and coastal biodiversity management on three sites – the learning sites on the North Tarawa Ramsar Site and Arorae, as well as the integration site Kiritimati. These sites are representating different contexts from urban to rural settings.